I arrived in East Belfast in October 1966. I was 17 and apart from an exchange visit to France for a month I had never been away from home on my own. I came from Rostrevor, a small seaside town and I was used to all the comforts of home. I had left school and was lucky to get a job in the Civil Service as a Clerical Officer. Things weren’t going too well at home as I had fallen for a young Scottish protestant. This was not on for a young Irish Catholic girl in those days. It was many years later when tracing my family tree that I discovered that I was not actually native Irish on my father’s side. My ancestors had moved here from Somerset in the 1600 ‘s and intermarried. Oh the irony! The local Parish Priest had been alerted that one of his flock was ‘walking out’ with a protestant and he was none too pleased. In those days a trolley bus ticket into town was 4d and it was possible to walk home in the early hours of the morning from The Orpheus, The Astor and the students union at Queens, crossing the Queens bridge without any hassle. Those were carefree years and we enjoyed them to the full. All the big groups came to Belfast and there was always a show to see. I saw the Beach Boys, Gene Pitney, Neil Sedaka, Them, to mention a few. I saw the premiere of The Sound of Music in the Odeon while the Free Presbyterians demonstrated outside, because of the Catholic theme of the film . But I loved Belfast and I returned to East Belfast with Gordon and we have been together for almost 49 years. I was 16 when we met and married at 21. We weren’t allowed to marry in my home town and I have happy memories of being escorted up the Crumlin Road by two army jeeps. We planted some seeds of our own and our offspring grew up mixing with all religions and kept u p the tradition set by their parents. 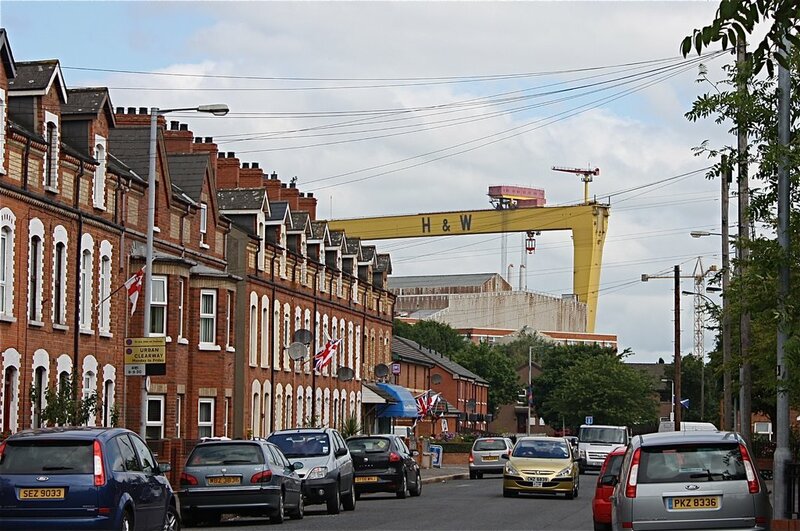 East Belfast unfortunately gets bad press but it is a lovely place to live and I remember the 60’s with great affection.